In honor of Black History Month, I thought I would focus on some stories with black Cinderellas or from countries with a majority of black citizens. With one exception being next week, where we will honor the Chinese New Year with Cinderella from China. This week we are looking at a different version of the story taking place in Africa. 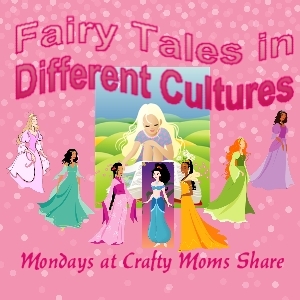 This story was inspired by a folktale collected by G.M. Theal and published in 1895 in his book Kaffir Folktales. The illustrations in the book were inspired by the ruins of ancient city found in Zimbabwe. The book is dedicated to the children of South Africa. The book is Mufaro's Beautiful Daughters: An African Tale by John Steptoe. First a little bit about Africa. Africa is the second largest and second most populous continent. It covers six percent of the earth's surface area and 20.4 percent of the total land area. Eastern Africa is widely accepted as where human beings began life. The climate of Africa ranges from tropical to subarctic on the top of its highest peaks). It's northern part is arid and desert. Central and Southern Africa has both jungles and savanna plains. Now onto our book. 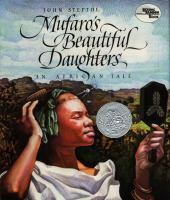 Mufaro's Beautiful Daugthers: An African Tale by John Steptoe is not your traditional Cinderella. In fact there is not very much of the traditional story in this one. There is a father and not a stepmother. There is a sister and not a stepsister and there is no talk about shoes lost or found. There is a bit of magic and of course the good and kind win over the cruel. To begin let me tell you mufaro means happy man, nyasha means mercy, manyara means ashamed and nyoka means snake. This is in the author's introductory notes. This story is about the two beautiful daughters of a man named Mufaro. His daughters are Nyasha who is kind and caring and Manyara who is selfish and mean. Manyara only mistreats her sister when their father is not around. She is often heard saying some day she will be queen and Nyasha will be her servant. Nyasha does not understand why her sister is so unhappy and miserable. She wishes Manyara could enjoy her life more. Nyasha is always kind to everyone and has no problem helping with the household chores and even has her own vegetable garden. She loves singing while she tends her vegetables and it is said that her plants grow bigger and more bountiful than anyone else's because of her singing. One day she finds a green garden snake in her garden. She welcomes the little Nyoka since he will scare away the animals that may eat things from her garden. Each day she sees him there and sings to him. One day a messenger comes to their village saying the king would like all the beautiful and worthy daughters to come to the palace so he may choose a wife. The palace is on the other side of the river is a half a day away. Mufaro tells his two daughters that they both will go with a wedding party the next morning. Manyara tries to convince her father that only she should go since Nyasha will grieve to death to be separated from their father and home. Mufaro says that the king must choose between two such worthy daughters so they both will go. Manyara leaves during the night by herself since she wants to be the first to see the king. She has not traveled through the forest during the night before and is a bit scared, but wants to be there first. She sees a young boy who begs her for food, but she says no. Then an old woman calls her by name and gives her advice and Manyara yells at her. She also does the opposite of the advice. At daybreak Nyasha gets dressed for the journey and meeting the king and hears commotion outside. It is discovered that Manyara is missing. They find footprints on the path to the city, so they assume she went on her own, but Nyasha is worried about her sister. When Nyasha sees the young boy she gives him the yam she had packed for her own lunch before he even asks for food. The old woman points the way and Nyasha gives her a small bag of sunflower seeds. Finally the reach the peak and see the river and the city and Nyasha says she has never seen anything so beautiful. When they enter the gate of the palace they hear screaming and Manyara runs out. She begs Nyasha not to see the king saying that there is a snake with five heads in there. Mufaro comforts Manyara while Nyasha goes in to the king. On the throne she sees her friend, Nyoka. She smiles and asks why he is here. Nyoka then changes to the king and he tells Nyasha he knows her to be the most worthy since he has visited her as Nyoka and was the young boy and old woman in the forest. He asks her to marry him. Mufaro is proud that one of his daughters is the queen and the other is one of her servants. Quite the opposite of how Manyara always planned it. Here is my summary sheet for our different Cinderella stories for this book. Our craft this time was to make a green snake to represent Nyoka. 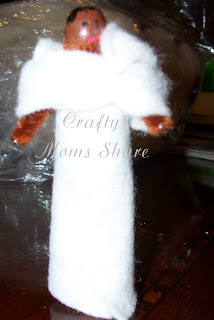 We used the tutorial at Ziggity Zoom which was a craft for the Chinese New Year since this is the year of the snake. We used Q-tips and masking tape (well we used blue painters tape because we had it) and then painted them and added some eyes and a tongue. Next week we will be discussing some Chinese versions. I hope you will join us! Thanks for linking this up with Say it Two Ways Thursdays - http://toddlefast.blogspot.com/2013/02/say-it-two-ways-chinese-new-year.html. 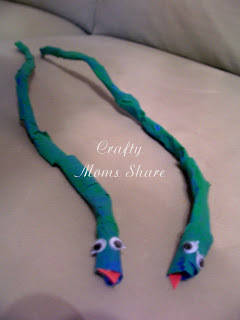 I love the snake craft! I have never seen it before and I never would have thought of it on my own. This is a favorite book of ours. Wonderful review and activities. Thanks for celebrating Multicultural Children's Book Day with us.